Since college, confirmed bachelor Ronny and happily married Nick have been through thick and thin. Now partners in an auto design firm, the two pals are vying to land a dream project that would launch their company. With Ronny's girlfriend, Beth, and Nick's wife, Geneva, by their sides, they're unbeatable. But, Ronny's world is turned upside down when he inadvertently sees Geneva out with another man and makes it his mission to get answers. As the amateur investigation dissolves his world into comic mayhem, he learns that Nick has a few secrets of his own. Now, with the clock ticking and pressure mounting on the biggest presentation of their careers, Ronny must decide how and when he will reveal the truth to his best friend. 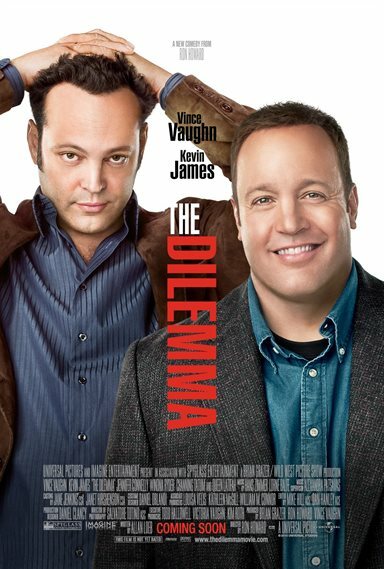 Download The Dilemma in Digital HD from the iTunes store. The Dilemma images are © Universal Pictures. All Rights Reserved.